To support delivery of the UK Government’s objectives in Tanzania through proactive communications and organisation of events. Using mainstream, specialist and social media to raise awareness of UK Government activity in Tanzania. • To communicate the British High Commission’s objectives and messages in the Tanzanian media. • Draft and issue press releases and advise the British High Commissioner and other senior officers on interactions with the media. • Lead on organising events, photo calls, press conference, interviews and other media opportunities, working closely with BHC staff from across different departments including the UK Department for International Development (DFID). • To build BHC Dar es Salaam’s social media presence, including Facebook, Twitter, Instagram, through regular updating with relevant, interesting, targeted content. • Maintain an effective list of contacts, covering all aspects of communications work. • Thorough understanding of the media environment in Tanzania, including digital media. • Experience organising events / conferences / marketing etc. • All staff of the British High Commission are entitled to 25 days paid leave per year, after completion of the probationary period. • In addition to annual leave, the British High Commission observes a number of Tanzania and British public holidays each year. Which public holidays to observe are at the discretion of HM Ambassador, in consultation with staff. • 1 June is a provisional Start Date, the start date could be moved earlier or later for the right candidate. • Please complete the application form in full as the information provided is used during screening. • Please check your application carefully before you submit, as no changes can be made once submitted. • The British High Commission will never request any payment or fees to apply for a position. 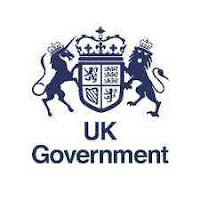 • Employees recruited locally by the British High Commission Dar Es Salaam are subject to Terms and Conditions of Service according to local employment law in Tanzania. • All candidates must be legally able to work and reside in Tanzania. • Reference checking and security clearances will be conducted on successful candidates. • At the time of application please apply for a Police Clearance Certificate at the Local Authorities. The document may be required should you be invited for an interview.